The Federal Reserve is still waiting for the right moment to raise interest rates. Fed leaders decided not to increase the bank's key interest rate on Wednesday at the conclusion of a two-day meeting. The decision was largely expected by economists and investors who bet there was very little chance of a move. "Our decision does not reflect a lack of confidence in the economy," said Janet Yellen, chair of the Fed. "It's better to err on the side of caution." The Fed downgraded its forecast for economic growth in 2016 for the third time this year. It now projects growth this year to be 1.8%. In June it forecast growth of 2%. As the Fed has hesitated to raise rates, there is a growing debate about its credibility. Many economists and investors say the Fed's hesitancy to raise rates -- and conflicting messages from its top leaders -- has eroded public confidence in the central bank. Related: Is the U.S. election killing the economy? Some experts supported the Fed's decision, arguing that there are more risks to raising rates too soon rather than too late. "The better decision would be to wait," says William Poole, senior fellow at the Cato Institute and former St. Louis Fed President. "We can make up ground if we have to in the future but if we raised rates prematurely and then we had to back down, that's going to more disruptive." However, there wasn't unanimous agreement over the Federal Reserve's decision. At least three of the top officials -- Esther George, Loretta Mester and Eric Rosengren -- wanted to raise rates. That's the most dissents among the Fed's officials this year. Kate Warne, investment strategist at Edward Jones was surprised at the number of dissents. "The forecasts and the statement suggest a rate hike is increasingly likely in December, if conditions don't change before then," Warne said. 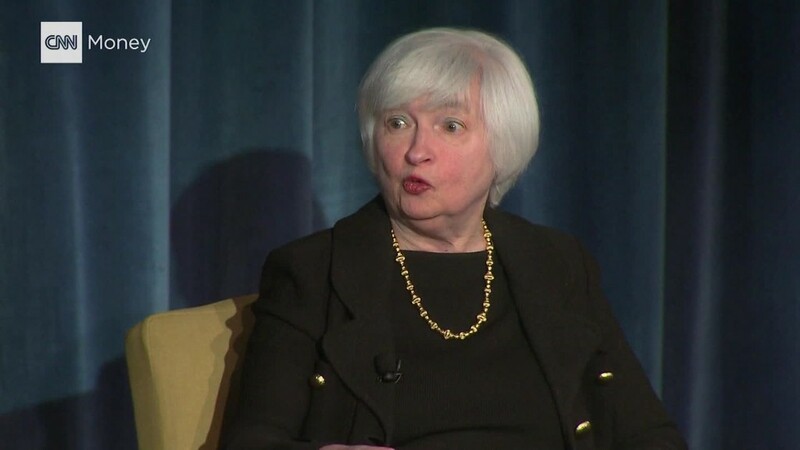 Yellen agreed that the case for an increase in rates was stronger, but that not only was the economy not "overheating" currently, but there was actually a "little more room to run." For the rest of the year, 10 out of 17 Fed members project only one rate hike this year. The Fed last raised interest rates in December 2015, its first increase in nearly a decade. Currently, interest rates are in a range of 0.25% to 0.5%.